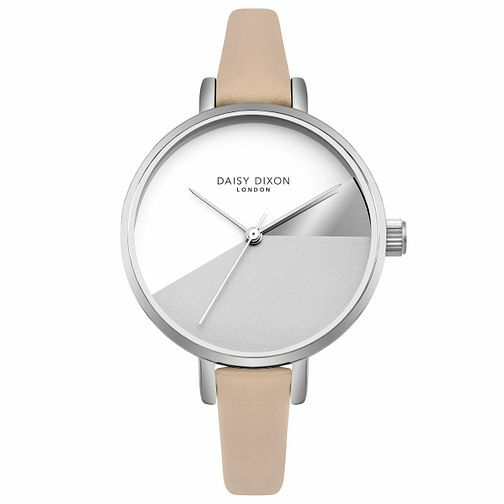 Grab all the attention this season with this super slick Daisy Dixon ladies' watch from the Ava Collection. Its clean, sleek silhouette is featured on both leather straps and stainless steel bracelets. The stunning dial stands out with its bold mix of finishes, combining gloss, satin and matte textures that will make an entrancing statement with any outfit.